Karen joined our team in August 2000, following a career as a medical secretary/administrator in a GP surgery. Karen’s duties at the Hull IVF Unit are varied and include drug ordering and stock control, funding and reporting, accounts and general queries regarding treatment and investigation. 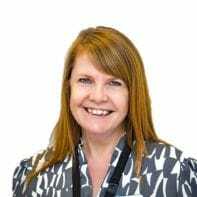 Karen’s main interest at the Unit is the counselling service and she is the customer-focused lead for both patients requiring this service and the counsellors for diary and appointment management.